Sianna the healer resides on the world of Tareth. Her father is First Master a position that he has usurped the power of the king. He plans to rule through his daughter by having her marry the puppet king's son. Sianna doesn't know her father because she was sent to the Sisters of the Light boarding school that teaches a person the art of healing. One night Katya kidnaps Sianna, bringing her as a captive to her brother Kyne's castle. Kyne is a rebel leader who plans to use Sianna to bring hier father down. He despises his prisoner because he falsely believes Sianna is responsible for having his brother killed. Sianna insinuates herself into the working of the castle, saving lives and making it run smoothly. The more Kyne observes her, the more he realizes that she is innocent. He begins to have feelings for her but tries to contain them because the blood of her father flows in her veins. It takes a near tragedy for Kyne to realize that love is more important than revenge. 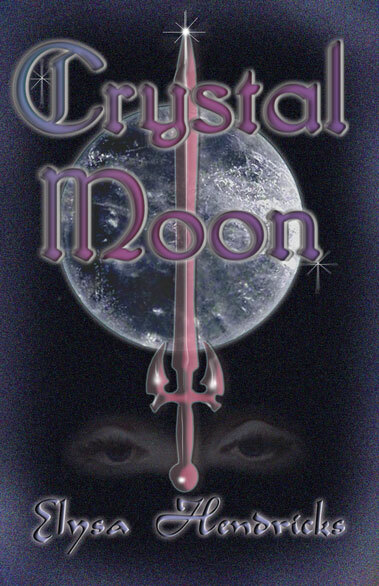 Fans of sword and sorcery romances will want to read CRYSTAL MOON, a novel that takes place in a world much like Earth's medieval England. The characters are three- dimensional and endearing and the action packed story line enthralls the audience with its exciting and unexpected twists and turns. Elysa Hendricks uses words to make a whole planet come alive in the reader's imagination.